In the beginning God created. He gave us the ability to create. 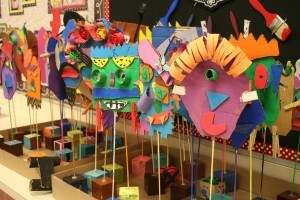 In art class, students will be given the opportunity to express themselves visually through their creations. Students will explore a variety of materials and learn techniques to use those materials successfully. Students will be challenged to make observations and to pay attention to details. Art projects assigned will help students develop creative thinking skills and to learn that there is more than one solution to a problem. Students meet twice a week and sing a variety of songs to prepare for upcoming performances. All 6th grade students are required to participate in choir and 7th and 8th graders are combined in choir if they’re not in band or orchestra, or if they choose it as an elective. We look at many styles of music and especially music in worship. We explore singing and the special gift it is from God and how we should use it to honor Him. We also sing a hymn each month to build a repertoire of music that can extend into our church and spiritual lives. The choirs perform many times throughout the year with the bands and orchestras and also have the opportunity in the winter to have just a choir concert. Band at Dutton Christian starts in fifth grade and is kicked off by a two day band camp two weeks before the start of school. This camp allows students to learn the basics of their instruments and even a few notes and music basics before school even starts! The goal of the band program is to prepare students for musical success beyond middle school. Students will learn basic music theory, work towards the mastery of their instrument, how to apply concepts learned in band to other areas of music and much, much more. 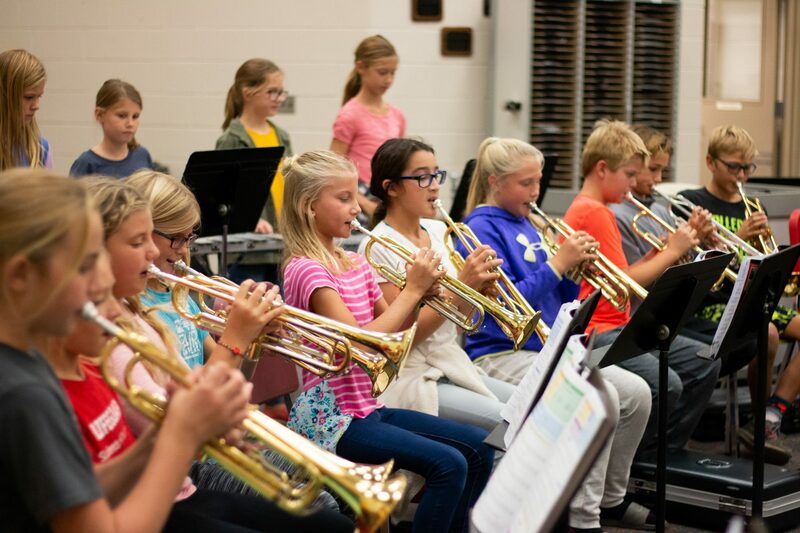 Students play in various concerts throughout the year, including special performances for Christmas, Grandparents Day, and an end of the year Pops Concert. The highlight of middle school band is the attendance of band festival. Festival is a wonderful opportunity for students perform out in the community and to see other bands that are working towards the same goals. 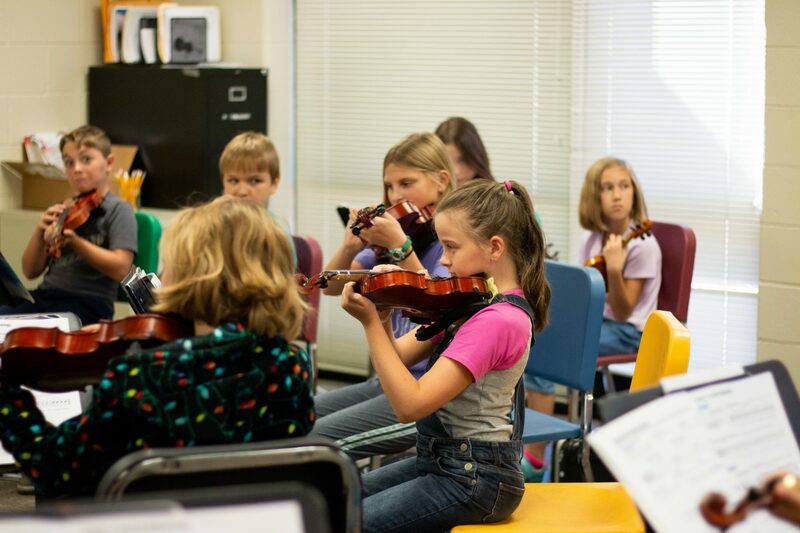 Orchestra students begin their first experiences in creating music on a bowed stringed instrument, and grow in the various techniques each year that they take orchestra. We are a performing entity, so we are regularly preparing pieces to perform for family and friends. We perform also in MSBOA festivals, which gets us a broader base of experience as we mature in the musical talents we’ve been given. The library, along with the literature teachers, encourages students to read a wide variety of books during the school year. The library supports the teachers by having available many different genres of books as well as levels and lengths. We work together to guide students to read good fit books that will also fulfill the requirements of their literature class. Accelerated reader tests are available for the students to take. Books are given a point value based on the length and complexity of the text. After the students read a book they take a 10 question test on the book to check for comprehension. Each literature teacher uses these tests to keep track of what the students are reading and to check comprehension. The library is open at most breaks, lunch hour and homeroom times. The students may check out books while the library is open. AR Book Finder: We’ve upgraded our Accelerated Reader program to a new online version! Now teachers, students, and parents can look for books based on reading level. There are over 130,000 different titles based on reading level, interest, and topic! Click the link to begin your adventures! The DCS Spanish program seeks to expose children to a second language as naturally as possible through listening, speaking, singing, reciting phrases and Bible verses, playing games and a variety of creative and fun activities. Each classroom has a total of 45 minutes per week for Spanish learning emphasis. Many of our activities are taught in conjunction with the classroom curriculum such as calendar words, Bible verses, songs, science units, social studies units and even art class! students will develop a love for movement and skills to lead them towards a healthy lifestyle. Our bodies are a gift from God and it is our responsibility to take care of this precious gift. teamwork is essential for the P.E. classroom. 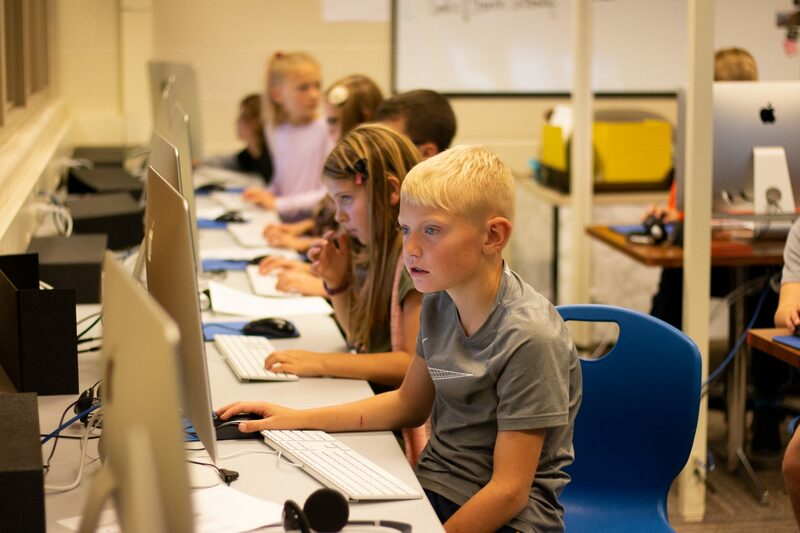 According to the International Society for Technology in Education (ISTE) as foundational technology skills permeate our society, students will be expected to apply the computer basics in authentic, integrated ways to solve problems, complete projects, and creatively extend their abilities. • become proficient in keyboarding. Formatting documents and creating graphs are a couple examples of basic computer skills that support technology use in other courses. Many projects are integrated with core subjects such as history and English. For example, history information is taken to English class as the basis for a writing assignment. This history information also becomes the foundation of a technology project. An example would be the Google Earth annotated map of Civil War battles done by the 8th grade. Because we live in a global world and have increasing access to social media, it is important for students to learn about digital citizenship, careers, and internet safety. For example the 7th grade uses a program called “Missing” which educates how to stay safe in online environments. Online environments also help us become aware of the needs of people in other places. An authentic way to apply computer basics is the service project of the 6th grade. Letters are written to injured Marines that are delivered to them on Christmas morning. 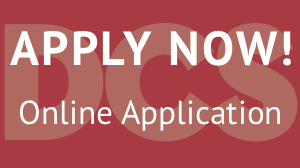 It is the goal of the DCS tech program to help students prepare to live, work, and positively contribute to their communities as they develop their abilities to bring glory to their heavenly Father.